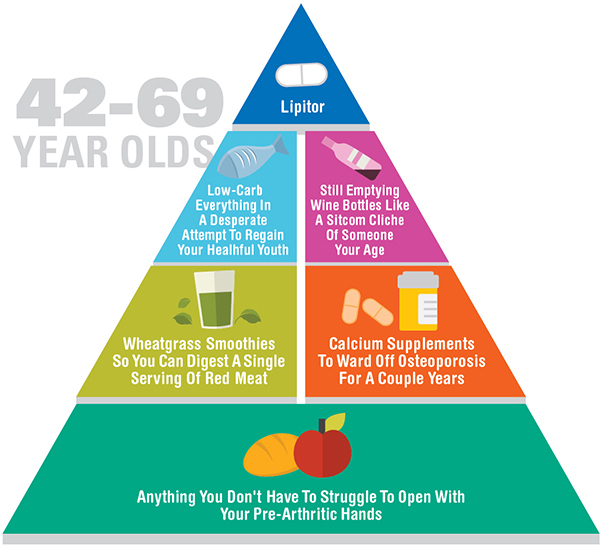 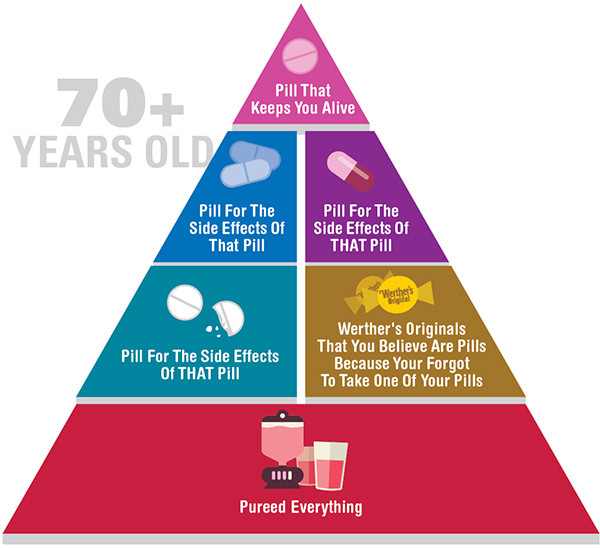 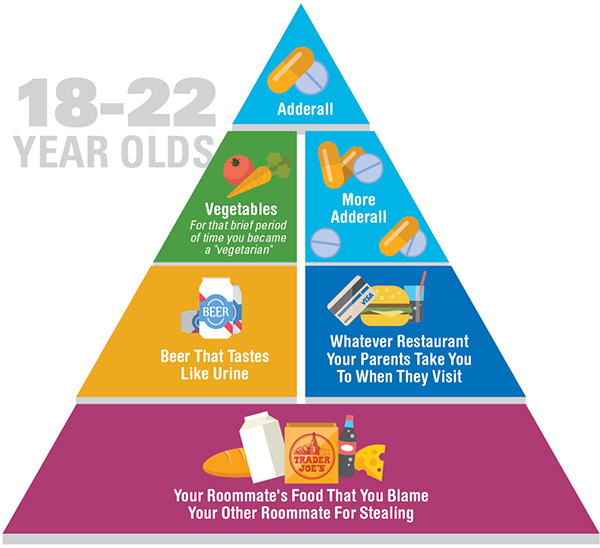 If you could have your way, how would your food pyramid look? 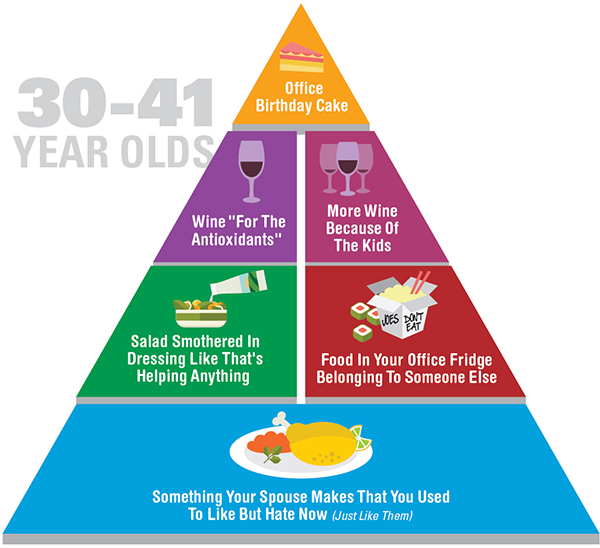 Humor site Someecards has come up with a series of ‘Brutally Honest Food Pyramids For Every Stage Of Adulthood’. 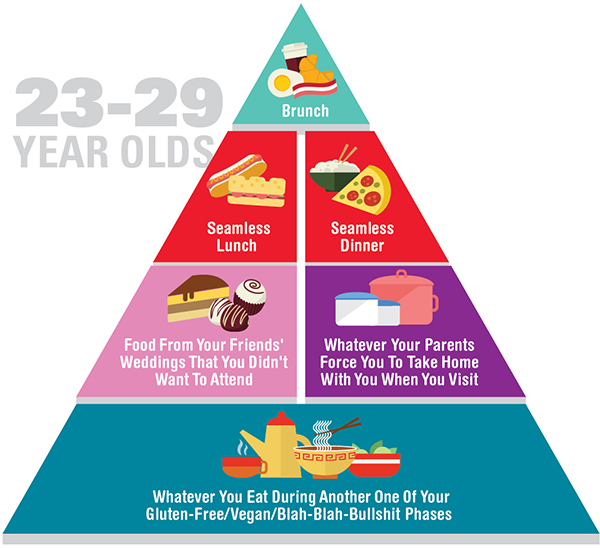 Do these amusing illustrations reflect your actual diet?